GMAT Critical Reasoning is a question type found in the GMAT Verbal section. In CR questions, the prompt presents some sort of argument. Then you need to analyze the argument—for example, by strengthening it, weakening it, finding its underlying assumption, etc. 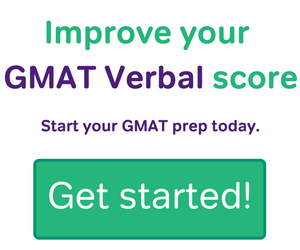 You’ll find around 13 Critical Reasoning questions in the GMAT Verbal section. Although you you do have to read a prompt in GMAT Critical Reasoning, CR tests your thinking skills more than your reading skills. The argument prompt is typically less than 100 words, much shorter than a Reading Comprehension passage, and there’s always only a single question on the Critical Reasoning argument. Critical Reasoning makes up roughly 1/3 of the Verbal Section, about 13 Critical Reasoning questions of the total of 41 Verbal Questions. After some discussion, this post features GMAT Critical Reasoning practice questions below. Why does the GMAT ask Critical Reasoning questions? You are preparing for the GMAT, which ostensibly means you are planning on attending business school, and this in turn suggests that you are anticipating a management career in some aspect of the business world. The entire business world runs on buying and selling: even if you are not a salesperson yourself, the success of your business, in a sense the raison d’etre of the business, depends on the money it will make from sales. In its essence, every sale is an argument. If I want to sell you something, I have to convince you to buy it. If I make a wonderfully cogent argument, I may well generate the sale. If my argument is faulty, and I repeat this pattern, that can only mean bad things for the long-term financial well-being of my business. Every sale is an argument, but that’s just where the arguments in the business world start. How does your company decide whether one strategy or policy is better than another? What motivates your company to buy from a supplier? What motivates your customers to continue buying from you? What concerns does your insurance company have about your company? What concerns do your company’s investors have? All of these important points, and many more, will be settled by arguments. A typical manager has to deal with arguments from all quarter all day. An effective manager has to be skilled at deciding: how would I strengthen or weaken this argument? what is the assumption of this argument? what further evidence would I need to evaluate this argument? In other words, a real-life manager needs to apply all the skills required for Critical Reasoning on the GMAT. Arguments are very important in business, and the skill of evaluating arguments is one that every manager should cultivate. That’s precisely why business schools want you to bone up on it, which is why the GMAT asks about it in Critical Reasoning questions. 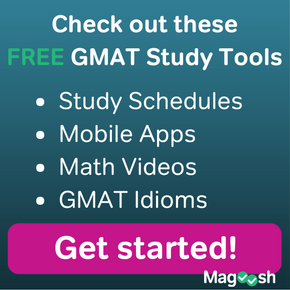 Types #1-4 account for approximately 75% of all GMAT CR questions. You can find out more about each one of these types at those linked blog articles and in the CR video series in the Magoosh product. The basic idea is: when you know what you need to do, you will be reading the argument with that in mind. In all Critical Reasoning questions, the GMAT gives one correct answer and four tempting and potentially confusing statements for the other choices. Folks who read the argument & question and then wander aimlessly into the answer choices without any further thought are asking to be perplexed, and, chances are, they spend much longer than necessary on many Critical Reasoning questions. Go into the question with an idea of what you seek. For types #1-3, the best thing to do is to find the assumption of the argument — reaffirming or undercutting the assumption of an argument is the most powerful way to strengthen or weaken it. Finding the assumption may also be helpful in find the flaw of the argument (if the flaw is a faulty assumption). For the other question types, you will be less able to predict what the answer will be; still, formulating the task in your own words will help you. In your own words, what is the structure of the argument? What is the paradox that needs to be resolved? What kind of information would be required to evaluate the conclusion? etc. The more clearly you understand what type of information or argument will satisfy the question, the more quickly you will find it. If you can integrate these strategies, you will be able to crack GMAT Critical Reasoning questions faster and more accurately. Here is a collection of ten Critical Reasoning practice questions. 1) In order to combat Carville’s rampant homeless problem, Mayor Bloomfield recently proposed a ban on sleeping outdoors in the city’s many parks. He claims that such a measure will force the homeless to either leave Carville or to find means other than sleeping in public parks. Which of the following, if true, suggests that Mayor Bloomfield’s plan will be successful? (A) Until the ban, the city’s many homeless shelters were at less than fifty percent occupancy. (B) Many homeless tend to congregate underneath Carville’s numerous overpasses. (C) Adjacent cities have even tougher measures on the homeless sleeping outdoors. (D) The percent of Carville’s population that has been homeless has been slowly decreasing in the last five years. (E) Mayor Jonesmith, Mayor Bloomfield’s predecessor, had been far more tolerant towards the city’s homeless population. 2) Megalimpet is a nationwide owner of office space. They have major office buildings in the downtowns of several cities in the 48 lower states, and rent this space to individual companies. Megalimpet office spaces vary from small office to large suites, and every space has custom-designed wall-to-wall carpeting. The carpet in several Megalimpet facilities needed replacing. The winning bid for the nationwide carpet replacement was submitted by Bathyderm Carpet Company (BCC). The bid contract involves all delivery costs, all installation, and any ongoing maintenance and upkeep while the carpet is under the three-year warranty. Both BCC executives and independent consultants they hired felt BCC would be able to perform all these services for far less than their bid price; these circumstances would allow BCC to reap a considerable profit. Which of the following, if true, most calls in question the argument that BCC will make a large profit from this contract with Megalimpet? (A) All the carpets will have to be transported by train from BCC factory in Louisville, KY, to Megalimpet’s locations from coast to coast. (B) BCC has already supplied carpets to a number of restaurant chains, and some of those spaces are as large as Megalimpet’s largest office spaces. (C) The carpet installation teams will have to cut different sizes of the carpets for the different size office suites in the Megalimpet buildings. (D) The material in BCC carpets degrades rapidly when it comes into contact with standard toner, found in most laser printers and photocopiers; the degraded sections are unsightly and smell bad, so they often need to be replaced. 3) A minor league baseball franchise experienced a drop in attendance this week after they suffered three losses by margins of ten runs or more last week. Many spectators of those games wrote letters to the editors of the local sporting news, complaining of the poor play of the team in those three losses. Nevertheless, the front office of this baseball franchise maintains that the team’s poor play in those three losses has nothing to do with this week’s decline in attendance. 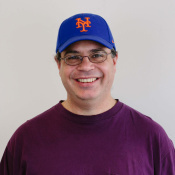 Which of the following, if true, most strongly supports the position held by the front office of the baseball franchise? (A) The spectators who wrote letters to the local sporting news were long-standing fans of this minor league baseball team. (B) Many minor league baseball franchises attribute a drop in attendance to the quality of play of the team only after a string of losses. (C) Other minor league teams in that region of the state reported a similar drop in attendance this week. (D) This was not the first time this team suffered multiple lopsided losses in a single week, prompting similar letters to the local sporting news. (E) This minor league team is over four hours from the closest major league team, so many of the minor league team’s fans do not often attend major league games. 4) In a few recent cases, some teenagers with advanced programming abilities used a new programming language, FANTOD, to hack into ETS and change their own SAT scores. All of the teenagers convicted of this crime were highly skilled in programming FANTOD. In light of these cases, some colleges have discounted the official SAT scores of applicants with a knowledge of FANTOD, and have required them to take special admission tests in supervised conditions on their own campuses. Which of following conclusions can most properly be drawn from the information above? (A) Most people who learn to program in FANTOD do so to commit some kind of hacking. (C) The college admission process possibly places some students with knowledge of FANTOD at a disadvantage. (D) Students who learn FANTOD tend to have much lower SAT scores than do their peers. (E) Not all colleges requiring special admissions tests have administered these tests under supervised conditions. 5) In the twentieth century, the visual arts have embarked on major experimentation, from cubism to expressionism. While tastes always vary, there are certainly some people who find beautiful objects of each of the art movements of the first half of the twentieth century. In the latter half of the twentieth century, though, most works are so abstract or shocking that neither the critic nor the general public uses the word “beautiful” to describe them: indeed, sometimes late twentieth-century artists have, as one of their expressed goals, the creation of a work that no one could find beautiful. Whatever these artists are creating may be intellectually engaging at some level, but it is no longer art. Which of the following is an assumption that supports drawing the conclusion above from the reasons given for that conclusion? (A) Art critics generally have a different appraisal of a work of art than does the general public. (B) The meaning of any work of art is defined entirely by the ideas of the artist who created it. (C) Beauty is a defining quality of art. (D) All art movements of the latter half of the twentieth century are responses to the movements of the first half of the century. (E) It is not possible for any work to be simultaneously beautiful and intellectually engaging. 6) The National Farm Administration (NFA) has been concerned over the last decade with the struggles of barley growers. Plan: In an effort to support these barley growers, two years ago, the NFA began a program of sending them, each autumn, a free special mix of fertilizer and enzymes designed to multiply barley yield, to be applied the following spring during first growth. This mix had been stunningly successful in multiplying the yield of barley in laboratory conditions. Results: Most barley growers reported little change in their economic status over this two year period. Further information: All barley growers received the shipments, and all used them. Weather conditions have been fair to optimal for barley growth over the past two years. In light of the further information, which of the following, if true, does most to explain the result that followed the implementation of the plan? (A) During these two years, most of the barley growers reported using no other fertilizer besides the special mix sent by the government. (B) The trucks that drove the special mix from the depot in Wisconsin to the individual farms sometime took as much as 4 or 5 days. (C) Some of the enzymes in the special mix multiply the growth of a bacteria that feeds on the young barley plants. (D) This program was implemented at a time when more than half of barley growers nationwide were reported barely breaking even in their yearly expenses. (E) This was the second such NFA program to aid barley growers; the first one, 14 years ago, was started with high hopes, but did little to change their situation. 7) When, on a particular shopping trip, a consumer purchases an item which he previously had no intention of purchasing, this sale is called an “impulse purchase.” The objects of impulse purchases are occasionally essential items (i.e. items that satisfy basic subsistence needs), but much more frequently are luxury or non-essential items. Researchers have determined that, at the end of a shopping trip, a consumer is much more excited if she has bought a luxury item on an impulse purchase, than if she had made no impulse purchases. 8) Over the past ten years, the population of Dismaston has grown five times as large as it was. During this time, the average income in the city has risen substantially, and a tremendous amount of capital has flowed into city. An independent audit found that, somewhat surprisingly, the number of violent felonies reported per year is now lower than it was ten years ago. 9) Archeologists have discovered three sites showing conclusive evidence for the mastery of fire in Tanzania, from a period slightly after the time that Homo habilis was present in Africa. These sites clearly were founded by Homo erectus, the descendent species of Homo habilis that migrated north, out of Africa and into Asia. Homo erectus was known to have mastered fire, from ample evidence at sites in Asia. There is no reason to attribute mastery of fire to Homo ergaster, the descendent species of Homo habilis that remained in Africa. 10) Five years ago, the town of Bayside, in the Katonic River Valley, had catastrophic flooding one spring, and consequently, most insurers now refuse to write flood insurance for houses in Bayside. The town of Dryadia, in the Phemptic River Valley, is much like Bayside in its proximity to a similar river at an almost identical point in the river valley. We can conclude that the only reason the same insurers do not write flood insurance for houses in Dryadia either is its similarity to Bayside in terms of where it is situated in the river valley. (B) It is hard for an homeowner to buy flood insurance if a large proportion of other houses in the same town have been flooded in recent years. For the first six GMAT Critical Reasoning practice question, follow the link. Re-enter your answer and submit it, and the subsequent page will have a full video explanation. For the last four practice questions, the explanations are given in the text here. 7) The credited answer is choice (D). If the researcher was able to conclude anything about how an impulse purchase made someone feel, then the researcher first had to know that it was an impulse purchase, that is, that the purchase was not planned. If the researcher had no way to determine whether a purchase was planned or unplanned, then the researcher would have no way of determining which purchases were impulse purchases. We know the consumer find the impulse purchase of a luxury item more exciting than the planned purchases. We don’t necessarily know how exciting the impulse purchase of an essential need is—maybe it’s less exciting than the impulse purchase of a luxury item, or maybe it’s just as exciting. We suspect from real life that this may be true, but we cannot determine this from information in the prompt, so it can’t be the answer to a “must be true question.” Thus, choice (A) is incorrect. This is a tempting one—we certainly might suspect that the luxury items of higher price would be bought as impulse purchases less frequently. We might suspect this, but notice that the prompt says nothing about high price vs. low price items. This answer choice invites us to bring in irrelevant outside knowledge, so, like (A), it can’t be the answer to a “must be true question.” Choice (E) is incorrect. 8) This is an EXCEPT question. Four of the answer will be perfectly valid explanations, and these will be incorrect. One of the answers will not be good explanation—either it will be irrelevant, or it may even suggest a rise instead of a decline; this oddball choice will be the correct answer. The credited answer is (B). The new filing system, in essence, never misses the report of a violent crime. This at least implies that perhaps the previous filing system missed some violent crimes on occasion—for whatever reason, some violent crimes that took place slipped through the cracks and failed to be reported. Well, if we were not reporting everything before, and are reporting everything now, if anything this might suggest an increase in the number of reported violent crimes. It most certainly would not, by itself, explain a decrease. This is not in any way a good explanation, so this the correct answer. 9) Remains of prehistoric fire were found in Tanzania. The author says that Homo erectus made these fires, and that there’s no reason to assume Homo ergaster did. What is a necessary assumption? The credited answer is choice (A). Homo erectus had to be as far south as Tanzania—if they were not, there would be no way they could have made those fires there, which would seem to indicate that Homo ergaster made them after all. Negating this statement devastates the argument, which is a confirmation that we have an assumption. 10) The credited answer is choice (D). If the town of Dryadia really does flood, then that’s the reason insurers won’t write flood insurance for it! Therefore, the “only reason” cannot be “its similarity to Bayside in terms of where it is situated in the river valley.” Choice (D), if true, obliterates the argument, so this is the best answer. Choice (B) would not be surprising, and could be perfectly consistent with the argument. We know Bayside had “catastrophic flooding“, but we don’t know for a fact that every single house was flooded—maybe or maybe not. If some houses were not flooded, it sounds as if the insurers don’t write flood insurance for any house in Bayside, so even those houses that never flooded could not buy flood insurance. Therefore, this would validate (B) without threatening the argument in any way. Choice (B) is incorrect. Editor’s Note: This post was originally published in April, 2012, and has been updated for freshness, accuracy, and comprehensiveness. For question 2 above regarding BCC’s bid for carpeting Megalimpet offices, E strikes me as a much better answer than D.
Yes, D describes what sounds like an expensive maintenance cost, but it also asserts that this is would be standard/common for any other offices that BCC would have carpeted. We have little reason to believe that BCC would not have taken this cost into account. We’d have to add the additional assumption that BCC has either never provided this service for an office location, or that this is a new, untested carpeting material — quite a stretch. However, for E, the evidence that, in a competitive bidding situation, the closest bid was 50% higher, does indicate that BCC must have very different assumptions than any other competing company, which indicates more clearly that something is awry in their assumptions. I like the deep critical thought you’ve given to this. You’re right that this could indicate something is awry if BCC is bidding very differently than the other companies. However, there’s a wrinkle there that makes the implications of answer choice (E) a bit unclear: Is BCC the one with incorrect assumptions, or are the other bidders the ones whose assumptions are considerably “off”? (E) provides no clear answer there, so it’s simply too weak to be a viable correct choice. Hi Mike! Thank you very much for this post, it is really helpful. I have a question regarding question 6. The way I thought about it is that the explanation for the paradox should find an explanation about why the plan had no effect on barley growers result. In that sense, I chose answer B. Reason: While transporting the mix, because of some effect with heat or not having the proper storage conditions, the mix could have been altered and thus loose its properties. Barley growers applied mix, getting no results at all vs. previous condition. While considering answer C my thought was that if the mix helped a harmful bacteria to thrive, then the observed results after applying the plan should have been much worse than the present situation of barley growers, not just remain unchanged. Maybe I went a little to far with the storage reasoning, but I didn´t feel comfortable with the bacteria explanation because I would have expected much worse results than the observed. Could you please explain find the flaw in this approach that is obviously wrong? Question 6 is an interesting and very tricky one, Martin. Your reasoning on B could work in theory. The problem is that for GMAT CR, you can’t make that much of a stretch. If the answer choice doesn’t strongly imply somethign could be the case, then you can’t assume it’s a possibility. Howe does this practice apply to (B)? While B talks about how transport of the barley growth mix is shipped form Wisconsin, and “sometimes” transit takes “as much as” 4-5 days. But that’s very tentative language. It doesn’t say how often transport takes 4-5 days, versus how often transit times are much shorter. The answer choice also doesn’t mention anything about transportation costs, in terms of money or in terms of the mix degrading during the transit period. Without these factors mentioned in the answer or the original paragraph, you can’t know if most transport times are even all that long, much less know whether transport affects the quality of the mix. On the other hand, answer (C) directly references a specific problem that could affect barley yields. If you just look at answer C’s statement that the growth mix promotes a bacteria that harms younger barley plants, it would seem that barley growers’ economic problems would get worse, rather than remain the same. However, you should always combine info in the answer with info in the paragraph. The paragraph says that the mix also helps barley to grow more prolifically. So it’s distinctly possible that the mix’s promotion of barley growth and bacteria growth cancel each other out. The farmers might make gains in the growth of some plants, while also losing other plants to the bacteria that the mix also promotes. The net result could easily be no change in the amount that barley farmers struggle. So (C) is the best possible explanation for the paradox. Hi, Mike I had purchased Manhattan Test series of 6 CATs and am some what getting average scores of 630-650 however while independetly trying the gmat questions i.e in your this test i got all 10 correct or from the books/ study material I’m getting most of them correct. Can you let me know how accurate the scores of these adaptive tests are? 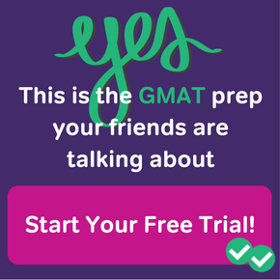 I have official Gmac Free test also pending and I can use that but unfortunately I had used one early in my preparation and secon I wish to use few days prior to my actual GMAT to build more on it. Can you help? Also do you have some very short program to boost verbal score I had booked My GMAT for 19th of this month however not gaining confidence in verbal section were I’m gettin score in the range of 25- 33. Although I cannot speak on behalf of Manhattan, I will say that Magoosh mock exams are comparable to the actual exam. Still, the best gauge of your progress will be the GMATPrep exams from the makers of the actual exam. In addition, our Magoosh content will be helpful for your verbal score; however, we don’t have a specific short boost program for verbal. Honestly, your improvement will be based upon your effort. Great Post, I find one of the most difficult part for CR questions on the real test is the question stem is so hard to understand compared those on OG. i have read both Powerscore cr bible and Manhattan cr. I found Powerscore cr too lengthy and boring. Manhattan cr was very comprehensive and organised. Please let me know if Magoosh CR would be any different from Manhattan CR. After reading both books I attempted the untimed OG test and scored badly in it. Please let me know how to improve my CR skills. Magoosh has a video lesson series on CR that has somewhat different emphases from MGMAT’s approach, but of course, we cover much of the same material. I think Magoosh’s really strength lies in the video explanations for each question. 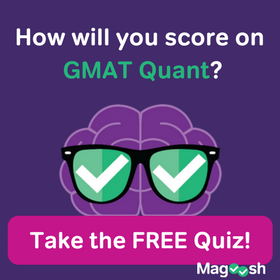 In Magoosh, each GMAT CR question has its own explanation — of course, this video explains the individual question, but in doing so, it clarifies important points of content and general strategy. Taken as a whole, I believe what Magoosh offers is just as good, if not better, than what MGMAT has to offer.